DESCRIPTION OF THE BOOK: Reeling from the truths uncovered while searching for her sister in Italy, Anastasia Phoenix is ready to call it quits with spies. The only way to stop being a pawn in their game is to remove herself from the board. But before she can leave her parents’ crimes behind her, tragedy strikes. No one is safe, not while Department D still exists. 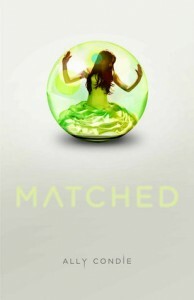 Now, with help from her friends, Anastasia embarks on a dangerous plan to bring down an entire criminal empire. From a fire-filled festival in England to a lavish wedding in Rio de Janeiro, Anastasia is determined to confront the enemies who want to destroy her family. But even Marcus, the handsome bad boy who’s been there for her at every step, is connected to the deadly spy network. And the more she learns about Department D, the more she realizes the true danger might be coming from someone closer than she expects. MY TWO CENTS: A year after Proof of Lies, author Diana Rodriguez Wallach gives us a sequel that is just as a fast-paced, Lies that Bind. We follow Anastasia Phoenix’s quest to discover the truth about the Dresden Corporation, her parents’ death and, like the protagonist, the reader does not know who to trust. The novel skillfully reintroduces us to the main characters and the story line; Anastasia reflects on the events Keira, Marcus, and Charlotte have just experienced and reminds the reader of the key information to put us right back into another action-packed adventure. Wallach continues to develop her female protagonists. Although Keira continues to act a bit irresponsible and Charlotte has developed a love interest, we see Anastasia take charge and make decisions about next steps in their quest for safety and justice. According to my teen daughters, one of the things that they most liked was the suspense-filled chapters, which kept them turning page after page to try to figure out which one of the characters was good, bad, or in-between. They also liked the romance that continues to develop between Marcus and Anastasia. The novel moves locations and remarks on cultural differences in each of the places the characters visit. For example, they find themselves in the middle of festival in England that is full of satire about American immigration politics and borderline racist overtones. Another occasion worth noting, although not central to the plot, is a long speech given by one of her friends at the funeral of her dead boyfriend. The speech remarks on the experiences of young black men who the educational system fails to help. If nothing else, this adds to Anastasia’s growth in understanding the intersection of race and immigration as experienced by marginalized communities. Wallach includes information about real events at the end of the book, such as the fake Turkish coup of 2003, Hilda Murrell’s murder, and the 1998 World Cup Final, which adds to the detective-like narrative and espionage plot. She titled this section as “truths,” but this is ironic because although these events happened, they are full of mystery! This is, perhaps, one of my favorite parts of the book, realizing how the author uses this in the novel and, at the same time, reminding us that life is full of secrets. 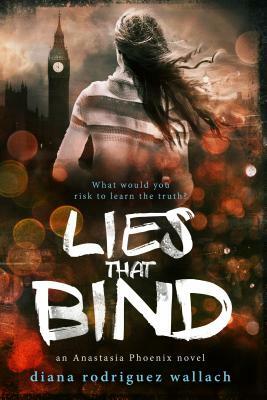 The last book in this trilogy, titled The End of The Lie, comes out in 2019 and we can’t wait to read it! CLICK HERE for our review of PROOF OF LIES. CLICK HERE for a guest post by Diana Rodriguez Wallach about pushing genre boundaries. Also, check out the video below. Author Diana Rodriguez Wallach talks about how her personal travels match Anastasia’s journey in Lies that Bind. 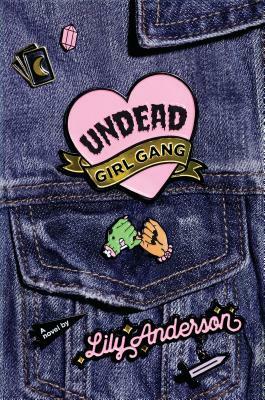 The video was posted on Jean Book Nerd’s YouTube Channel. ABOUT THE AUTHOR: Diana Rodriguez Wallach is the author of the Anastasia Phoenix Series, three young adult spy thrillers (Entangled Publishing, 2017, ’18, ‘19). The first book in the trilogy, Proof of Lies, was named by Paste Magazine as one of the “Top 10 Best Young Adult Books for March 2017.” Bustle also listed her as one of the “Top Nine Latinx Authors to Read for Women’s History Month 2017.” Additionally, she is the author of three award-winning young adult novels: Amor and Summer Secrets, Amigas and School Scandals, and Adios to All The Drama (Kensington Books); as well as a YA short-story collection entitled Mirror, Mirror (Buzz Books, 2013). In 2010 Diana was named one of the Top Ten New Latino Authors to Watch by LatinoStories.com, and she placed second in the International Latino Book Awards. Diana is featured in the anthology, Latina Authors and Their Muses (Twilight Times Books, 2015), and she currently blogs for Quirk Books. DESCRIPTION OF THE BOOK: Set against a future of marauding space scavengers and deadly aliens who kill with sound, here is a frightening, fast-paced YA adventure from the author of the acclaimed horror novel, Shutter. MY TWO CENTS: I read Shutter years ago and was blown away by the seemingly effortless nature of Courtney Alameda’s genre-bending craft. She managed to craft a world that made an unquestionable amount of sense, and it combined disparate elements you don’t often see in the same story. Pitch Dark is no exception. Somehow, Alameda has been able to borrow the visceral, gory, and heart-stopping brilliance of a film like Alien and mix it with the adventure of Tomb Raider or Uncharted. Oh, and there’s also a generation ship. (Sort of.) And horrific monsters. And burgeoning love. And commentary on subjugation, imperialism, and racism. AND THIS IS ALL IN THE SAME BOOK. Pitch Dark wastes no time, and while there’s a bit of a steep learning curve at the beginning—the book has alternating first-person narratives that don’t seem connected at all—the worldbuilding pays off just past thirty pages into the book. We are introduced to the shipraiding universe of Laura Cruz, who is exuberant about her love for what her family does. (It’s a neat twist on the trope of kids hating the family business.) She thrives when she gets to dig deep into the history of humanity… which is a big deal within Pitch Dark, set over four hundred years in the future. Humanity is haphazardly spread about the galaxy after a terrorist attack forced them to abandon Earth, so the Cruz family mission is an integral part of the story. Then there’s Tuck, the nerdy, reference-happy member of the John Muir, one of the ships that left Earth nearly four hundred years prior. He awakes from stasis to find out he’s been unconscious far longer than he was supposed to be. Even worse, something contaminated the stasis machines, and his fellow humans have…well, let’s just say they’ve evolved since then. Of the two, I preferred Laura’s narration more than Tuck’s, though Tuck grew on me over time. In Laura Cruz, Alameda has crafted a memorable and awe-inspiring character, one I hope is the focus of other books in the future. (Pitch Dark is a standalone, but this could easily be a multi-book series.) Laura’s Spanglish is comforting to read, since I grew up with it in Southern California, and the Cruz family is an eternal delight. If you’re looking for a book with a loving Latinx family, look no further than Pitch Dark. And if you want an addictive, insightful page-turner, get Pitch Dark for that reason, too. This book is downright horrifying, and when you learn what the Muir crew became, it becomes a significant source of tension and terror within the novel. The two storylines intersect (literally so!) in a shocking way, and seeing each character deal with the world of the other character’s ship is satisfying and exciting. It helps that Alameda manages to imbue all of this with an inventive social commentary about the nature of imperialism and control, most of which appears in Laura’s POV. Who controls a story? What version gets told? And how do you resist a narrative that purports to make you a villain to everyone else? Above all: I had a blast reading this book, which I devoured in just two sittings. I’ve been itching for more YA horror, and Alameda absolutely delivers. The pacing is incredibly quick, the dialogue is snappy and contains an in-universe context for all the pop culture references, and there are a few sequences in here that made me want to crawl under the covers and never come out. Bravo, Courtney Alameda. TEACHING TIPS: I imagine that most teachers might shy away from a horror novel, and admittedly, Pitch Dark is very, very violent and gory. But the visceral story is part of the extended metaphor for the environment of current day politics. Alameda crafts a subplot between Laura Cruz and the Smithson family that touches on issues of consent, sexual assault, and colonialism, particularly since the Smithson family is horrifically desperate to do whatever they can to center anthropology on themselves and their own power. There’s a lot of potential for discussion in the interactions between the Cruz family and Tuck, which touch on racism, stereotypes, and white savior tropes. ABOUT THE AUTHOR: A veteran bookseller and librarian, Courtney Alameda now spends her days writing thriller and horror novels. Her debut novel, Shutter, was nominated for a Bram Stoker Award and hailed as a “standout in the genre” by School Library Journal. Her forthcoming novels include the science fiction/horror mashup, Pitch Dark (Macmillan/Feiwel & Friends 2018), and Seven Deadly Shadows, an urban fantasy set in Japan. (Co-authored with Valynne Maetani. HarperTeen 2018). Courtney holds a degree in English literature with an emphasis in creative writing. She is represented by John M. Cusick of Folio Literary. A northern California native, she now resides in Utah with her husband, a legion of books, and a tiny five-pound cat with a giant personality. Member HWA, SFWA, SCBWI; and SDCC Creative Professional. 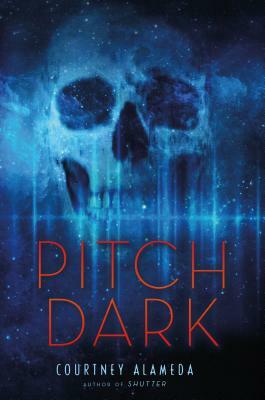 WHERE TO GET IT: Pitch Dark releases February 20! To find it, check your local public library, your local bookstore, or IndieBound. Also, check out Goodreads, Amazon, and Barnes & Noble. DESCRIPTION OF THE BOOK: This is the remarkable true story of a girl plunged into a world she never expected. It’s the story of dreams—some of them nightmares, others visions of romance and escape. It’s the tale of a family that is loving and troubled, and of the child who grew up to become a television star. 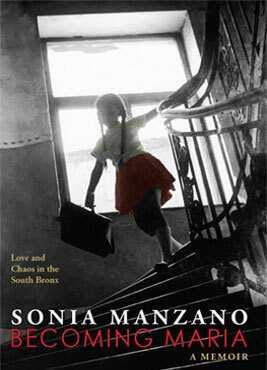 Set in the 1950’s in the Bronx, this is the beautifully wrought coming-of-age memoir of Emmy Award-winning actress and writer Sonia Manzano, who defined the role of Maria on the acclaimed children’s television series Sesame Street. MY TWO CENTS: Sonia “Maria” Manzano held a prominent place in American culture for over 40 years, both as a writer and actor on Sesame Street. While many Latino/a readers have struggled to find characters reflecting their experiences in books, Manzano filled this void on one of the most beloved American television franchises in history. Manzano’s performances shaped the way viewers understood Latino/a culture by breaking stereotypes through an expansive repertoire: from friendly neighbor, to comical mime, to new mother, to glamorous leading lady a’ la Ginger Rogers. Indeed, when she announced her retirement this summer, the outpouring of public tributes and reflections on her legendary career underlined just how closely audiences over a generation identified with Manzano’s evolution into a television icon. Now, as a novelist, she continues to respond to the need for Latino/a protagonists. Her newest book, a memoir, highlights the transformative capacity of theatre and performance for young people. I run to our fourth-floor window, looking for anything, when I see Uncle Eddie’s car pull up. Out spills his wife, Bon Bon; my uncle Frank; his wife, Iris; and my beautiful mother. She is dressed in a soft-colored yellow dress with pleats down the front that she made herself. My father enters my line of vision as he lunges for her. Her brothers restrain him, and I can tell even from the fourth floor that Ma would rip his face off if she could. There is something beautiful in the picture they make jerking around in the streetlight. And when the Third Avenue El comes swishing through, right in front of our window so suddenly, I feel like I am in the center of the universe and I am happy that they have had this fight because it has introduced me to the wonderful window. And that’s where I go every day, all the time between assaults when there is nervous calm (Manzano 8-9). Young Sonia’s ability to both observe and “see beyond,” to borrow a phrase from The Giver, her surroundings and circumstances allows her distance and a space to imagine other possibilities. Through this “window,” young Sonia is able reinvent moments in her life. As children’s literature scholar Rudine Sims Bishop has established, a “window” can also function as a metaphor for literature which gives audiences insight to other worlds and cultures. In this moment, young Sonia’s decision to frame her circumstances also signals Manzano’s own expertise providing access into the literary and theatrical worlds she has created for years. Young Sonia’s struggle to reconcile her views about her home life as both nurturing and abusive parallels with her feelings about her native land. As a writer, Manzano carefully demonstrates how Latino/a authors can both affirm their respective cultures while still encouraging readers to think critically. In fact, the tone and style of Becoming Maria underlines a sense of maturity and confidence in Manzano’s own voice as a novelist. Overall, Manzano’s work fits into a tradition of Puerto Rican writers including Pura Belpré, Nicholasa Mohr, Piri Thomas, Judith Ortiz-Cofer, and Eric Velasquez who have also written for younger audiences. These writers also demonstrate the power of the creative arts as transformative practices for young Latino/as. Manzano’s position in acting and screenwriting, however, highlights the importance of cultivating spaces in media and performance arts as part of narrating Latino/a histories and counter-narratives. Women’s Studies/History: Consider having students read Manzano’s Becoming Maria alongside Mohr’s Nilda (1973) which also emphasizes the evolution of a young female artist. In terms of Latina women’s history, have student compare the differences between the experiences Mohr describes to that of Manzano. Similarly, Becoming Maria might be read in comparison to Esmeralda Santiago’s When I Was Puerto Rican (1993) in which Santiago narrates her journey into performance and New York City’s High School for the Performing Arts, a school which Manzano also attends and describes in the book. How is the journey into performance different/similar in Manzano and Santiago versus the journey into visual arts in Mohr? The Wonderful Window: Young Sonia’s fourth-floor window functions as a kind of retreat which underlines the importance of creating private spaces of reflection and observation for young people. Ask students to reflect on the spaces they retreat to as a means of gaining perspective. Dramatic Arts/Reader’s Theatre: Becoming Maria greatly emphasizes the dramatic arts as a kind of transformative pedagogy for the young Sonia who finds a sense of voice through drama. Consider following up this novel with a play referenced in the book such as Shakespeare’s works and/or Godspell. Bishop, R. S. (1990). Mirrors, windows, and sliding glass doors. Perspectives: Choosing and Using Books for the Classroom, 6(3), ix–xi. FOR MORE INFORMATION about Becoming Maria: Love and Chaos in the South Bronx, check your local public library, your local bookstore or IndieBound. Also, check out Goodreads, Amazon, and Barnes & Noble. Marilisa Jiménez García is a research associate at the Center for Puerto Rican Studies, Hunter College, CUNY. She works at the intersections of Latino/a Studies and childhood and children’s literature studies. She attended a performing arts middle school for theater and is currently working on a book manuscript on the history of Latino/a children’s and young adult literature and an essay on the Latino/a “YA” tradition. One of the chapters in her manuscripts is about Sonia Manzano’s work. She is also conducting a survey of NYC teachers on teacher education and the use of diverse lit. in the classroom. One of my seventh-grade Latina students, who never reads, had her nose buried in Ally Condie’s Matched the other day. She’s reading both The Giver by Lois Lowry and Matched as a companion novel for her Language Arts class. She stopped reading and looked at me as if something just occurred to her. Student: Is Cassia Latina? Her name is Cassia Maria Reyes. Me: I don’t know, but I’ll try to find out. I searched online and thoughts ranged from definitely to definitely not. 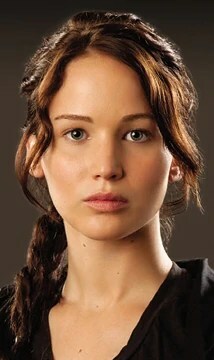 Some people seemed to think she had a Latin last name but was “probably white.” Hmmm. A person can be white and Latina, just as a person can be black and Latina. So, my search didn’t really answer my question. Condie did what I often do with my students when they ask me a question about what we’re reading, and they expect me to give them “the right answer.” Instead, I pull the ole switcheroo, as many teachers and therapists do, and ask them, “What do you think?” And then we discuss their thoughts and whether the text supports their ideas. Readers will never know an author’s every intention; the work is “out there,” open to interpretation. Well played, Ally Condie (a former teacher). Student: I think she’s Latina. Me: Okay, then. Keep reading and see if it comes up. Sometimes race and culture are important in a book, but sometimes those issues aren’t mentioned much. Student: Is there a movie for this? Me: There will be! 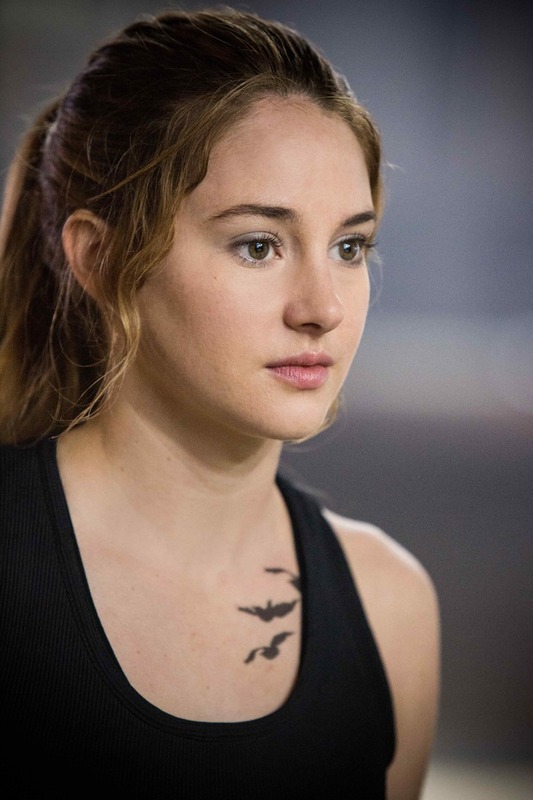 And there’s going to be a movie for The Giver, too. How cool, you’ll have read both books before seeing the films! She didn’t really share my enthusiasm about books before movies, but anywho….It got me thinking about the Matched movie, which is in development at Disney. But…since the author “left the door open” to the possibility that Cassia Maria Reyes is Latina, then I think it’s the perfect opportunity for Disney to do something different and make the Matched protagonist stand out from the others. I’m not saying they should hire a Latina “just because.” Choose the best actress to play the role, of course. What I am saying is the door is open; walk through it, Disney. At the very least, consider hiring a young, talented Latina actress who could totally pull off portraying a rebellious heroine on the big screen. Please take advantage of this opportunity. Do not limit your casting call to young women who “should be Caucasian,” which happened with The Hunger Games movie. Do not cause the internet to explode–yet again–as it did this week over the casting of Mara Rooney as Tiger Lily in the upcoming movie Pan. Broaden your scope, Disney. Seize the moment. Take a chance. Live a little. I’ll even offer some suggestions of Latina actresses who have proven their talent (see below). Your people should call their people. Have lunch. Talk. Why not? I know at least one seventh-grade girl who would look up at the big screen and say, “Cool.” And I have the hope that most other people would, too.